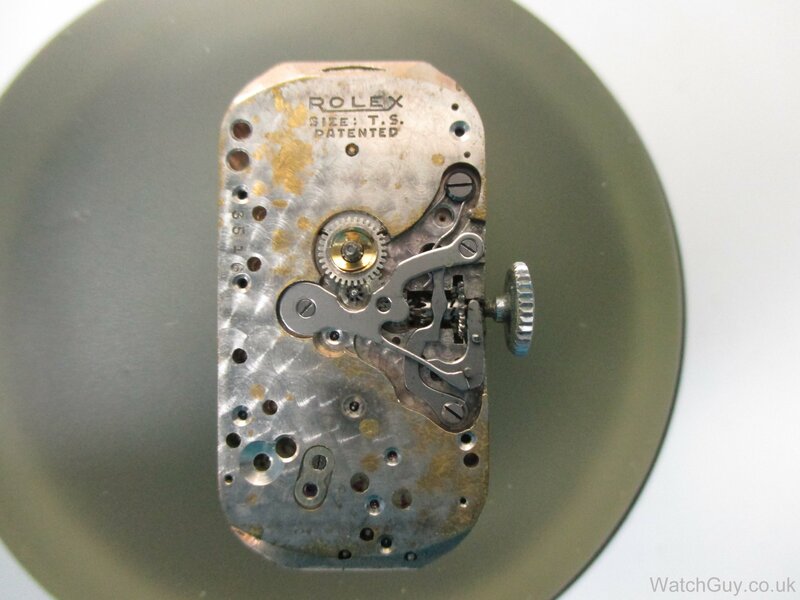 Brendan sent in this Rolex Prince from the 1930’s complaining that the crown felt detached from the movement when trying to set the hands. 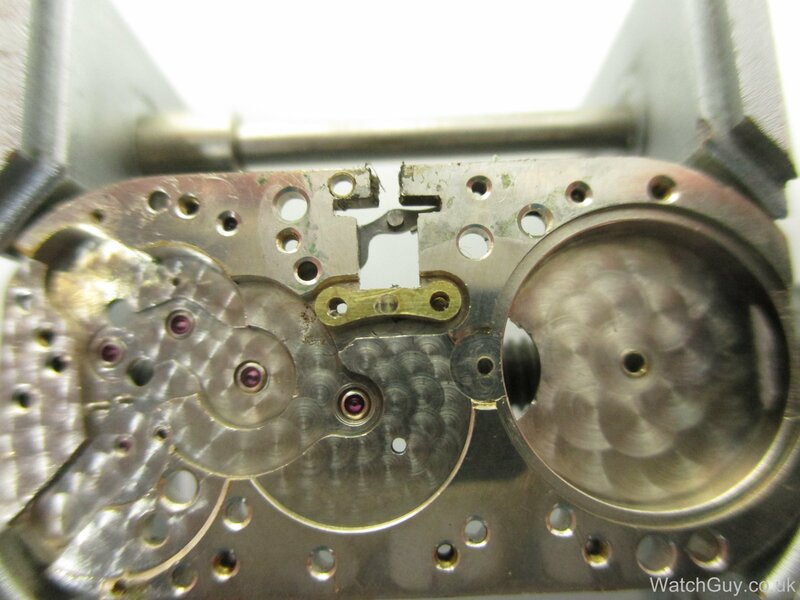 The movement is removed from its case and the dial and hands are taken off to investigate what is causing the problem. I test the keyless works and it is observed that when the crown is turned in hand setting mode the sliding pinion falls below the intermediate winding wheel making setting the hands impossible. 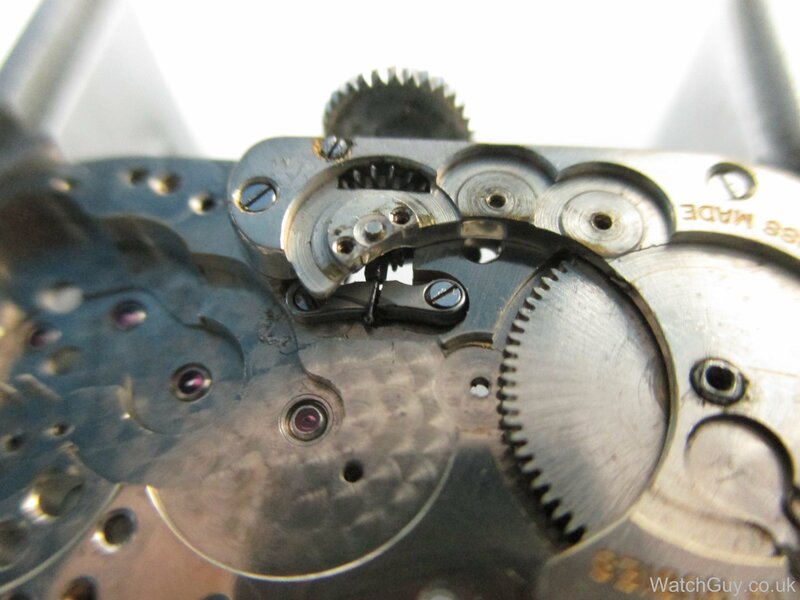 Under the microscope it is just possible to see the end of the stem moving about on the other side of the movement. 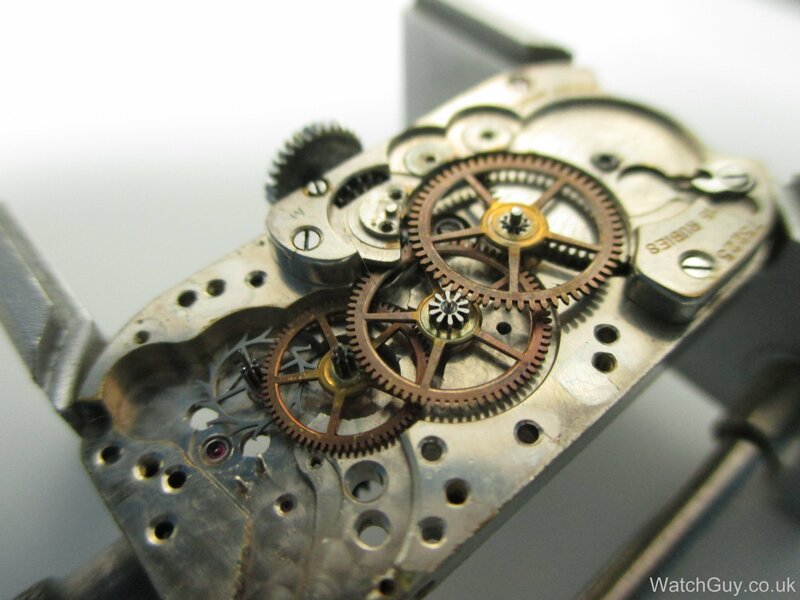 The movement is now turned over to disassemble it and to get down to see what is causing the problem. 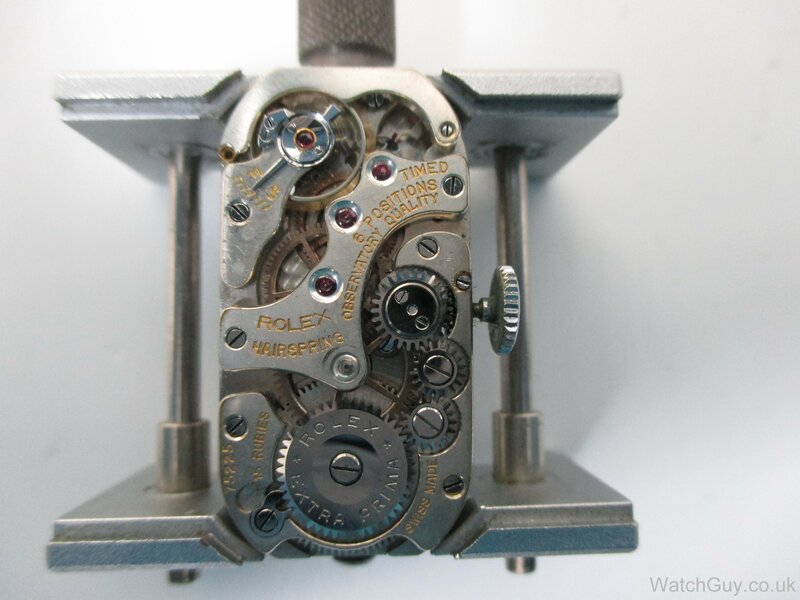 A nice looking movement which must of been pretty special back in the day and not looking too bad for an 80 year old! Here the gear train is exposed. Now with the gear train out of the way the problem is easy to see. There is a bridge which is supposed to hold the winding stem in place and it has snapped in half. 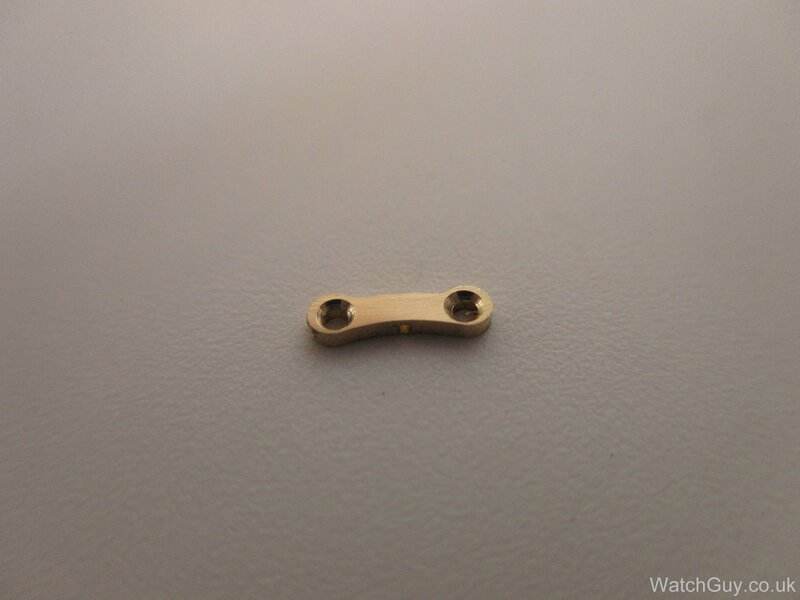 This is a major problem, new spare parts for this movement have not been available for a long time from material house suppliers and Rolex themselves would not have them or indeed even service this movement. 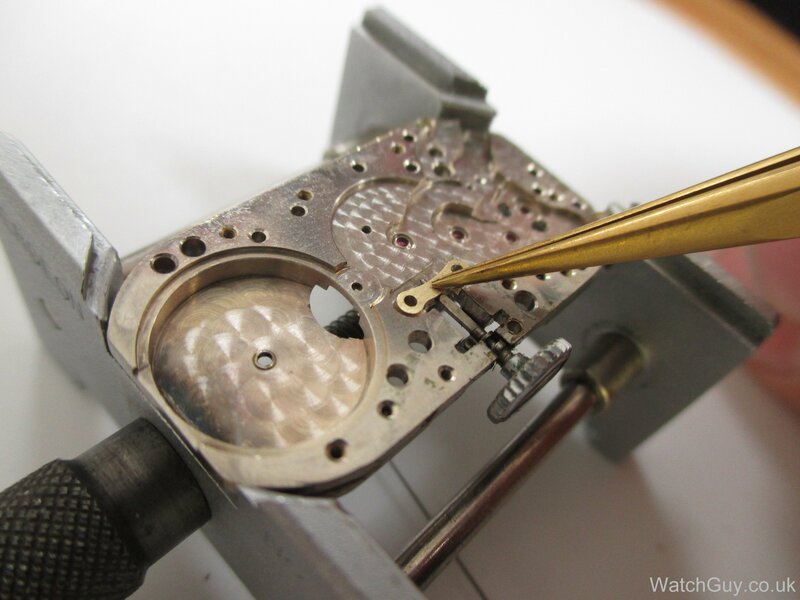 The normal course of action in this situation is to check the British Watch & Clock Makers’ Guild Watch Parts Database first at https://watchparts.org.uk to see if anyone has the required part. Not surprisingly for a movement as old as this there were no spares listed. The next port of call is eBay and after a search the part was not found, in fact there were no parts available whatsoever for this calibre. I then searched for a complete donor movement and again drew a blank. 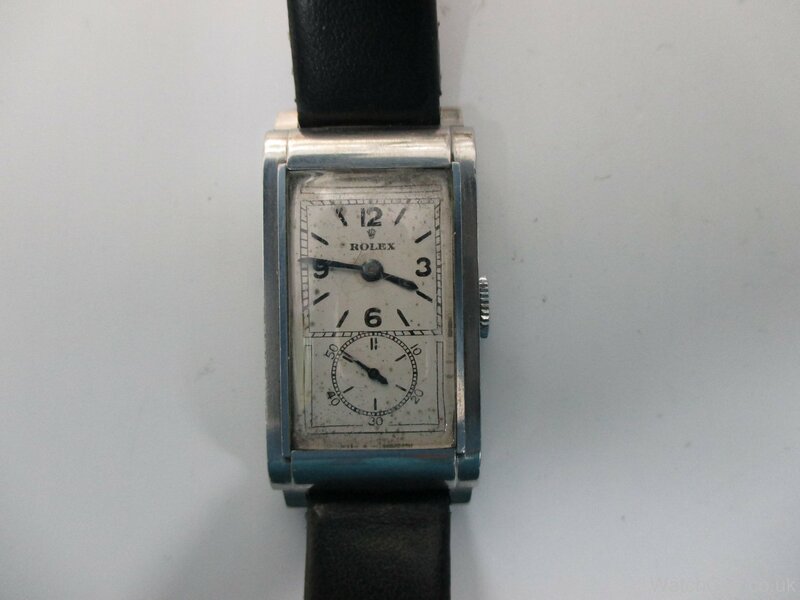 The only way to acquire the needed part would of been to buy a complete working watch but that would of course put the price way beyond economical repair. 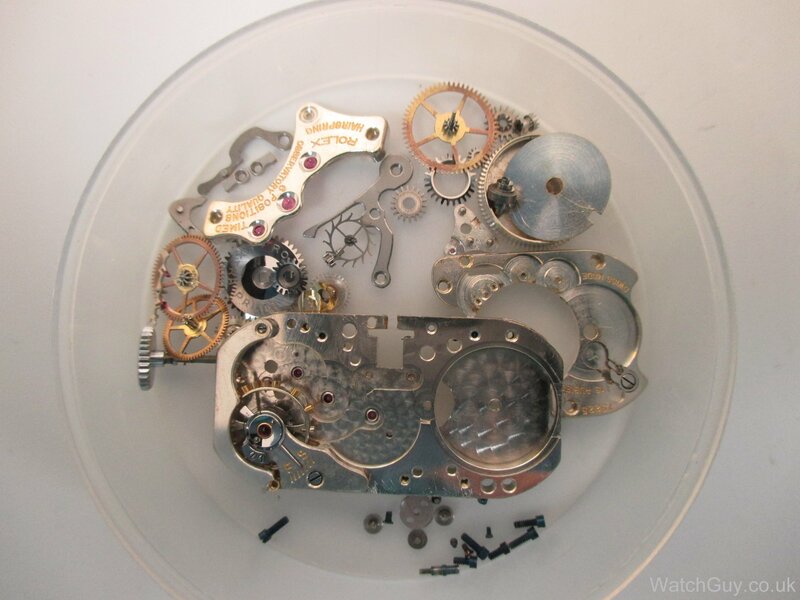 Ordinarily this would of been the end of the road for this watch, condemned to be a donor movement itself, stripped of its parts for another Prince in need somewhere in the world. 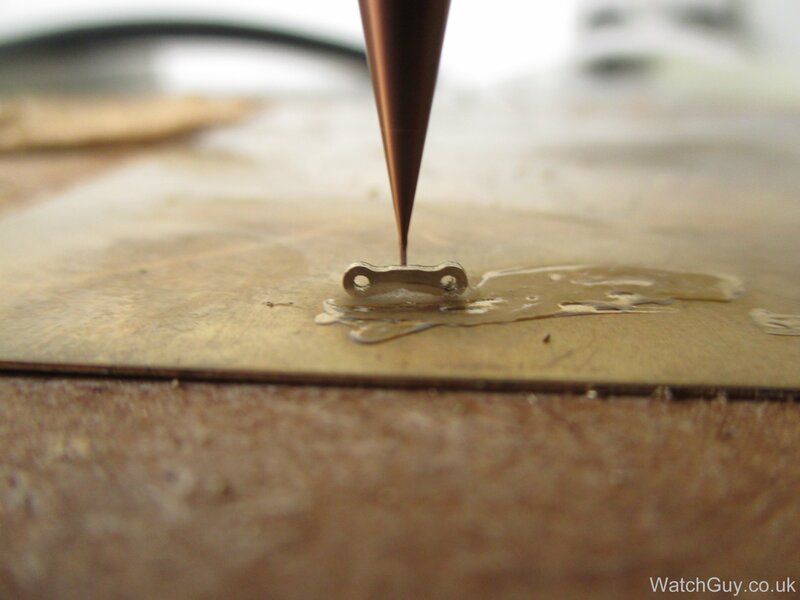 Luckily for this watch we now have our rather splendid new CNC machine in the workshop to come to the rescue! Here the CNC machine is in action, the part has already been cut on the other side and then turned over to mill the brass down to the correct thickness. Until the part is revealed. The part is then checked in the movement before going any further to see if it all went as planned. 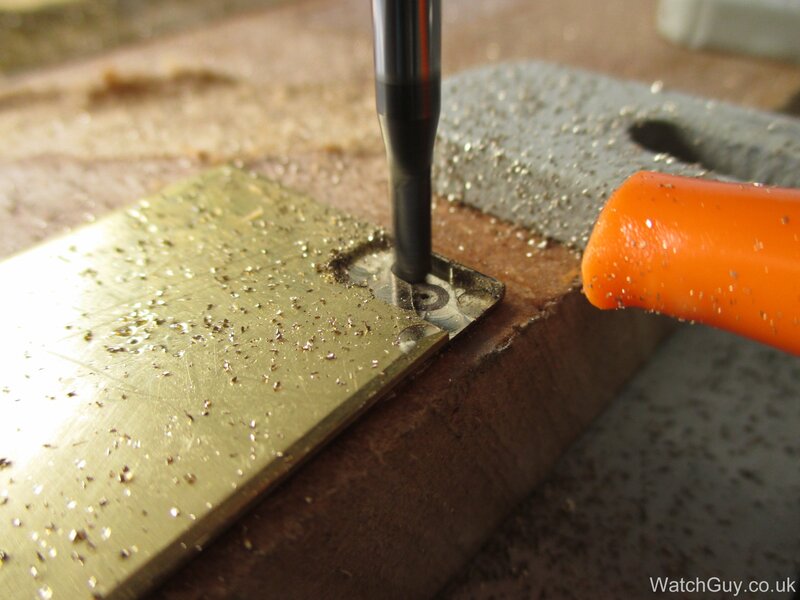 It’s a perfect fit so the next (very tricky) step is to make the hole for the winding stem. This part of the sequence had to be done using the CNC machine in manual mode and eyeballing it to get the hole in the correct position. 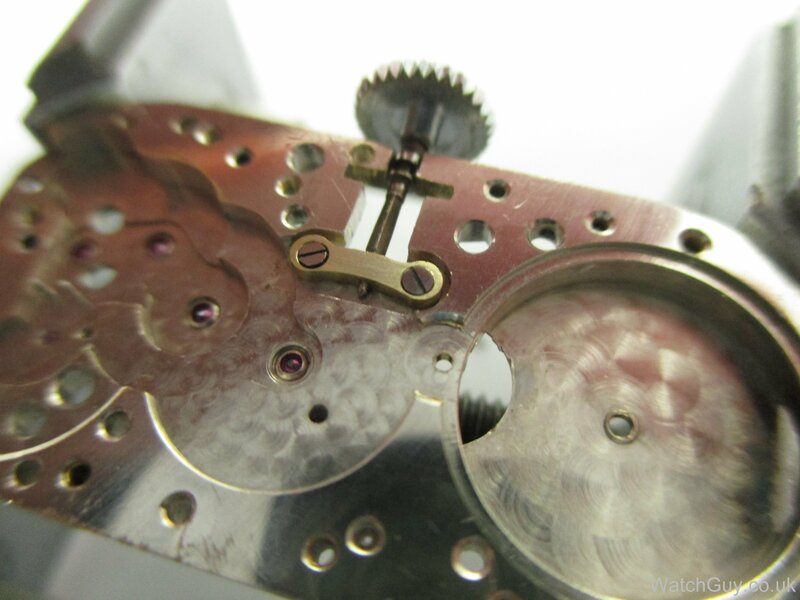 It’s not easy to try and line something up so small, we lowered the mill down to the part until it was almost touching and then took a macro photo from the front and the side to determine if the mill was lined up. After a few adjustments and several photos later it was decided it was in position so fingers crossed and down the cutter goes! The screw holes are then countersunk and the part is cleaned up. 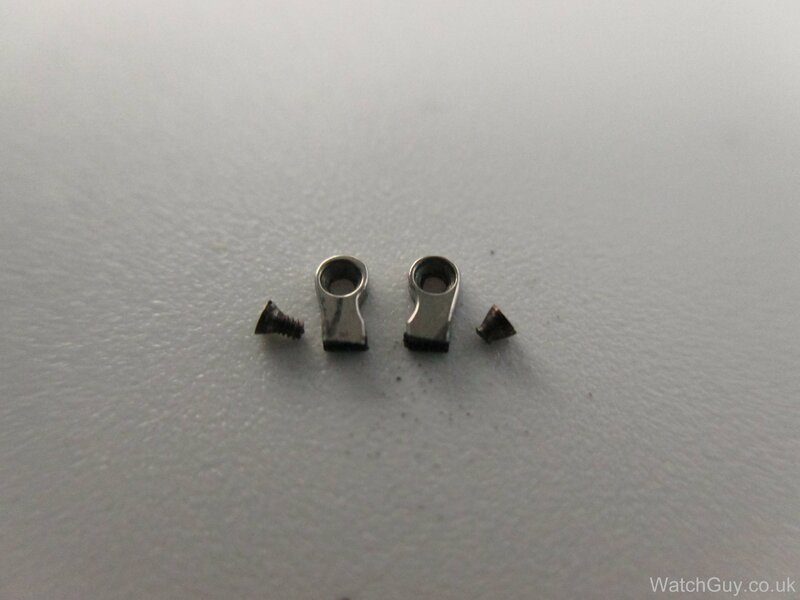 Unfortunately that was not the end because you may of noticed that one of the screws securing the winding stem bridge had snapped inside of the base plate and also had to be removed. We decided rather than dissolve the screw with alum to use the CNC machine again to machine the screw out, this would be impossible using a pillar drill and would end up in disaster with the drill skating all over the place and making quite a mess of the plate in the process. 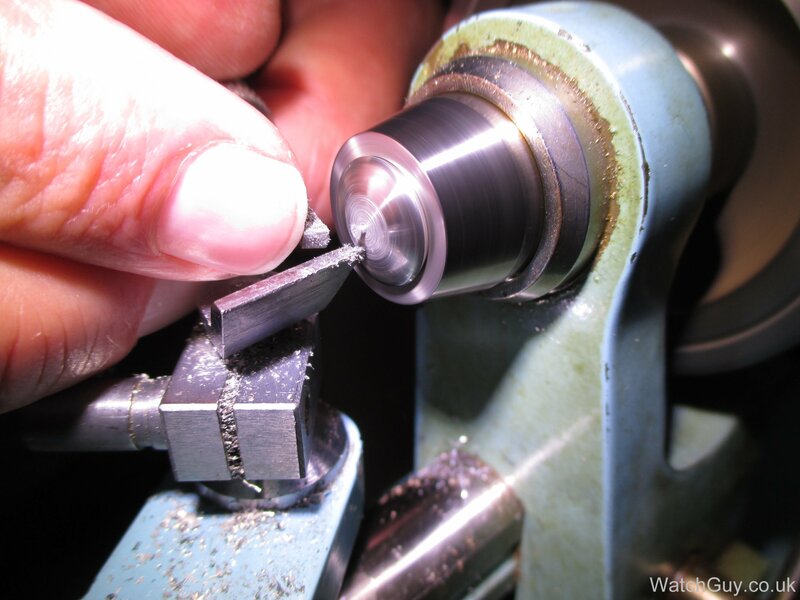 Using an end mill and the same process of taking macro photographs and rechecking the position the centre was found, a smaller end mill was first used to make sure we were in the centre before using a bigger one to finish the job. 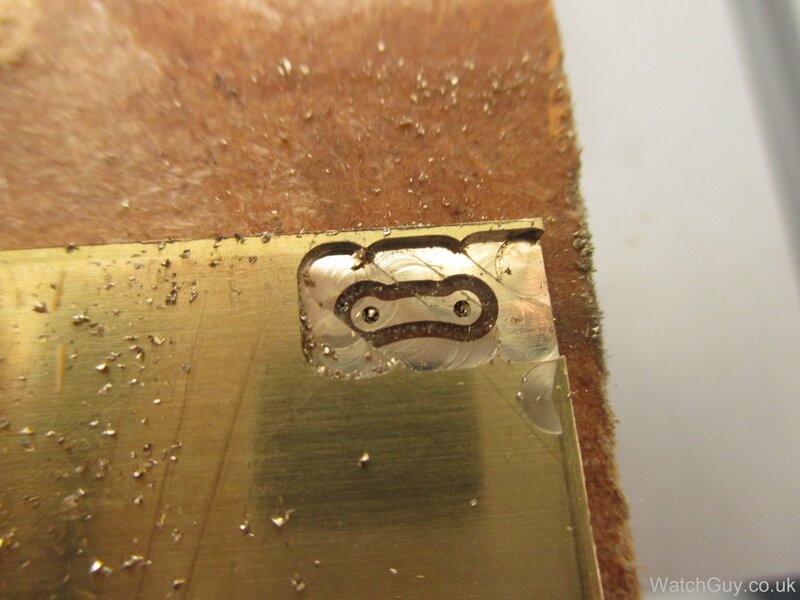 The counter sunk holes on this part are at a more acute angle than normal so an existing screw is modified to match the other screw and to fit into the winding stem bridge. Time now to put all the parts through the cleaning machine and reassemble the old chap. It all went back together with no problems and is running very nicely indeed. 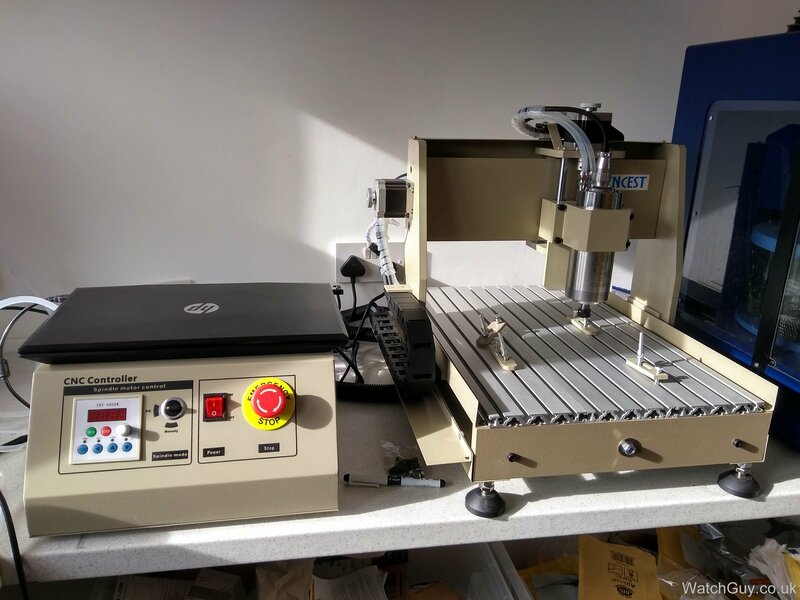 The whole process from start to finish was very interesting and rewarding and having the CNC machine in the workshop is a very exciting new chapter. As time goes on there are less and less spare parts for older movements available and obviously because of that the price of these parts will continue to rise. It is of course possible to make some parts by hand but this is incredibly time consuming and thus prohibitively expensive for the client. 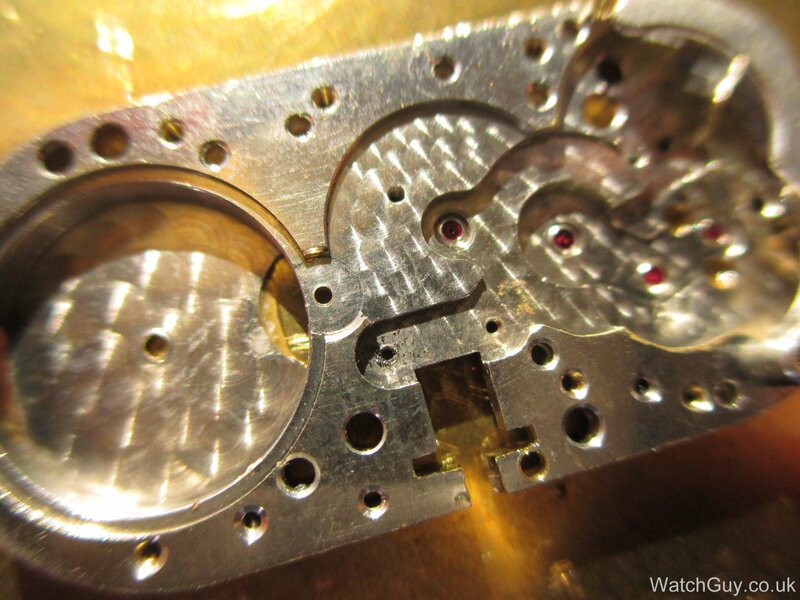 Hopefully more people will get involved in making parts and more watches can be saved which would be great news for us all. 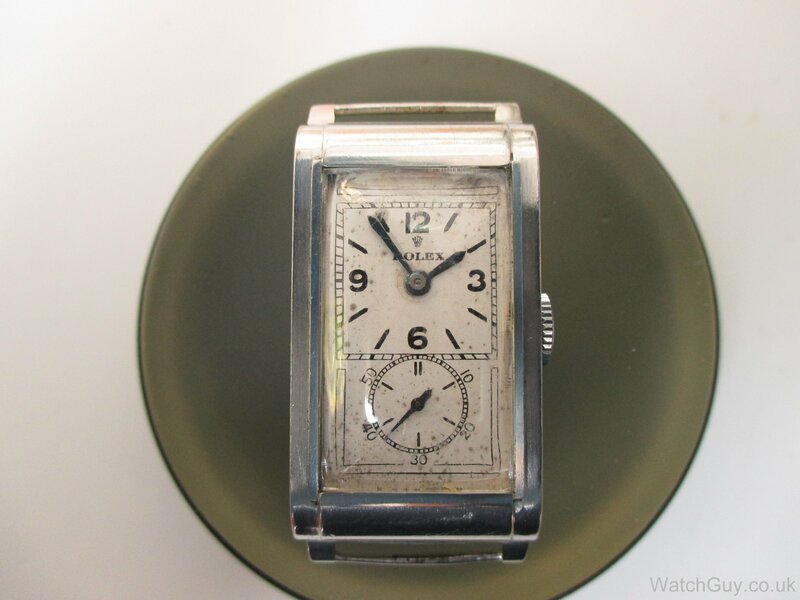 This entry was posted in Wrist Watches by Ray. Bookmark the permalink. What a fantastic job. Really like your writing about it too! 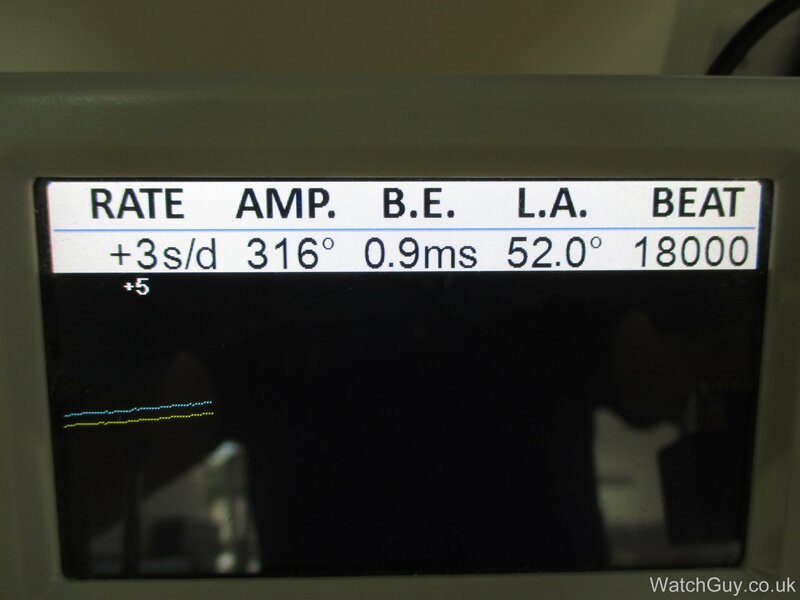 Amazing job Christian and results on the time grapher are sensational for an 80 yo watch. My 6 month old Oris 65 runs @ 6sec slow per day so perhaps I should have saved up some more and got a Rolex. Astounding! Lucky for the client that you have the cnc machine and skills required to utilise it! Great job……..
Really amazing job! And thanks for sharing all the information concerning CAD drawing and making the parts using a CNC machine. Your self-made part looks (and probably performs) way better than the original. Ahh!.. Just seen what you paid for your CNC mill. Ignore my earlier query about 3D printing. Cost effective to mill, not to print small quantities when you consider relative price of set up. Doh! I assume that now you’ve made one, you have a template saved on the computer if you ever need another. Truly amazing! 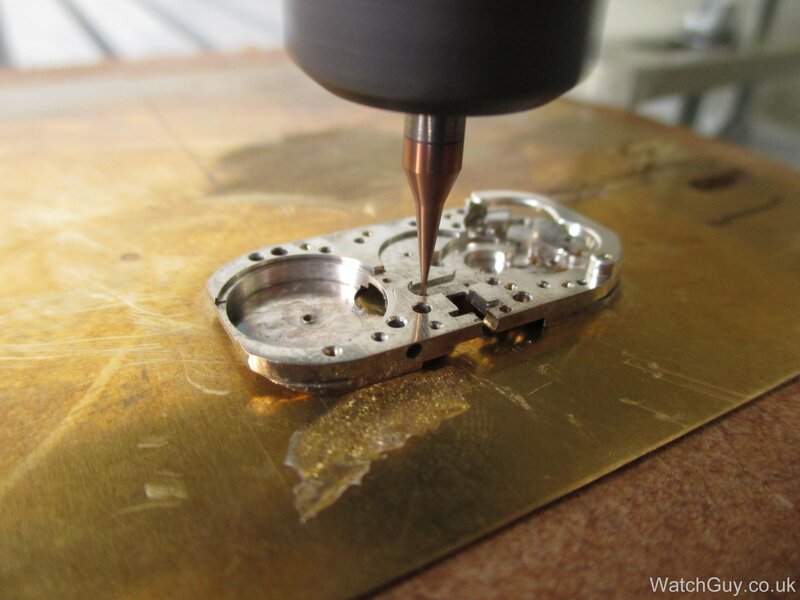 I hope many more watches will be saved by you with your new CNC machine. You should have done more then one. 🙂 And populate the spare-parts list. It’s too good looking not to do that. Great result. Is there any reason why brass was chosen for the part rather than steel? Ease of machining? We thought that there was a reason for the part breaking in the middle. Over time, the shock from pushing the winding stem in broke the bridge. Using brass appeared to be the better choice.